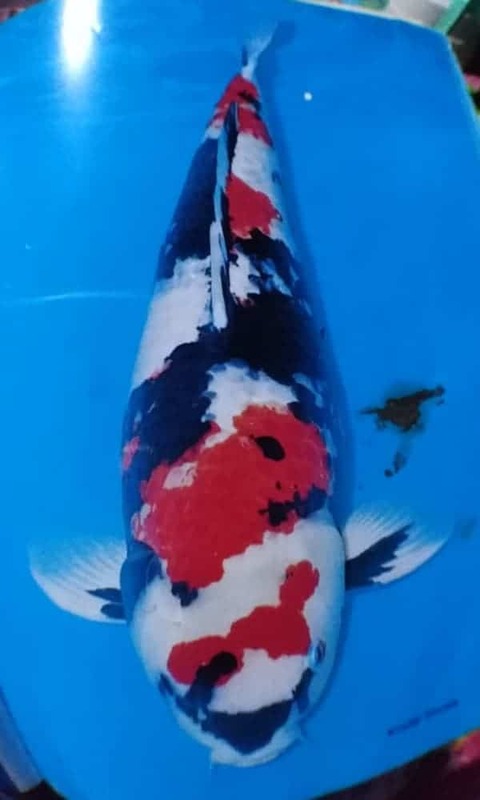 The Showa-Sanshoku was bred by Mr. Jukichi Hoshino by mating a Ki-Utsuri and a Kohaku in 1927. Hi color of the first Showa-Sanshoku was yellowish brown. 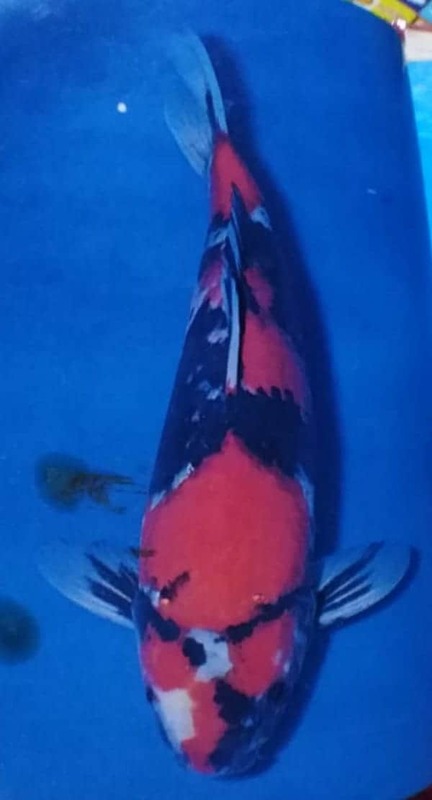 Mr. Tomiji Kobayasi succeeded in producing real red Hi by using a Yagozemon-Kohaku. Then it has become one of the best kinds. It is necessary to have a big Hi marking on the head. Hi should be uniform and dark Its edge must be clear. White marking are necessary on the head, the tail joint and the back. a marking on the nose (Fig. 4-26). The former is the original type. The latter is more impressive than the former. The pectoral fins should have Sumi at their joints. They must not be plain white or black. They must not have Hi Stripes, either. Both the Taisho-Sanke and the Showa-Sanshoku are tricolor white, black and red. The former has red and black markings on white skin, but the latter has red and white markings on black skin. The following items are the distinctive features. The Taisho-Sanke does not have Sumi on the head but the Showa-Sanshoku does. 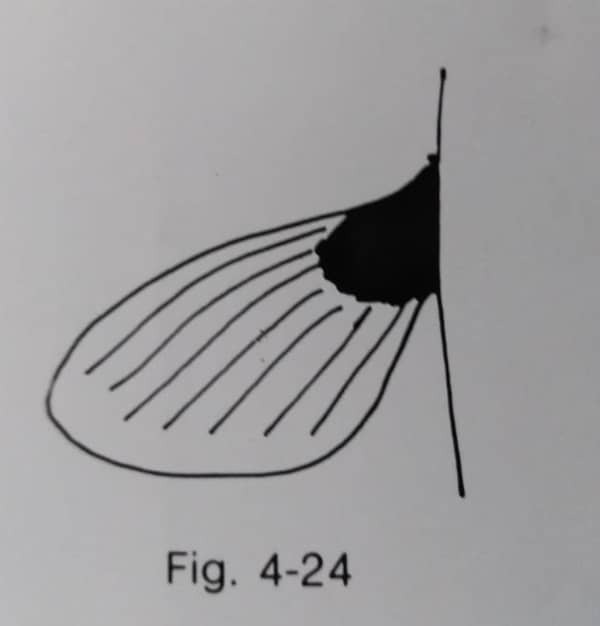 Sumi of the Taisho-Sanke’s trunk stay on the back, but that of the Showa-Sanshoku’s trunk spread over the abdomen. Every Sumi scale the Showa-Sanshoku looks relieved clearly, but Sumi of the Boke Showa is blurred and light. It is the Showa with a large Hi marking which spreads from head to tail. 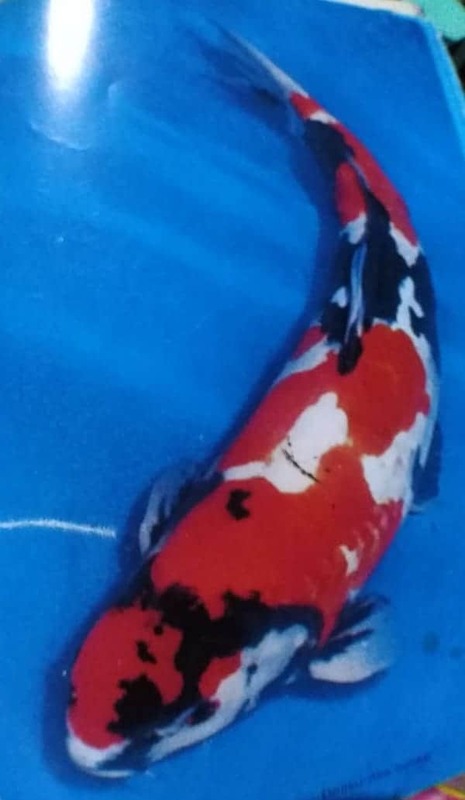 It shows many white parts and looks like a Taisho-Sanke at a glance. It is the Showa of the Doitsu family.